There are times after I see several product ads in a short span that inspire me to put a look/scene together and that’s what brought out this blog post. My music knowledge stretches a long time and my mental catalogue helps me put together themes for some of the photos that I take (whether the music is good, bad or even cheesy). Paparazzi just released a pair of nerdy sunglasses at Equal10 and that was enough to get me out to the event on the first day so that I could grab them to use for this shot. I had an 80’s type vibe in my head for it with the Animosity pose pack which is a bicycle prop/pose set. It had me itching to find a location to bring my idea to life. Ideally I wanted a location that was city like with streets and buildings and such and while I was going over some of my resources for locations I came across [SL] Amsterdam and I thought I’d take a look around. 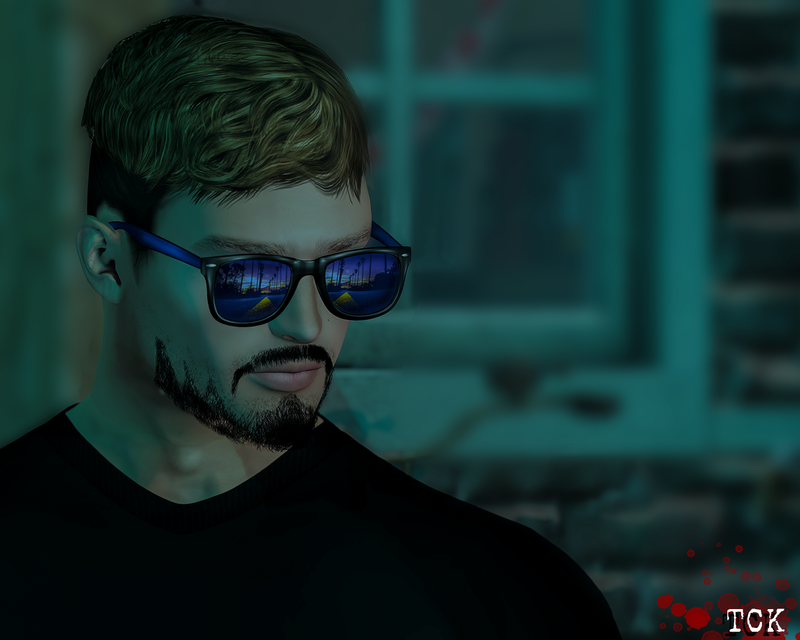 When I arrived at [SL] Amsterdam I didn’t know what to expect really because in my mind I’d be thinking it would be a quick walk and I’d see brothels and all sorts of things that wouldn’t be productive to a photo shoot but this place is definitely not quite what I thought it was. It’s a very quiet type setting with buildings and brick roads with a lot of bicycles all over and that told me this definitely was the place. Not to get to sidetracked I’m going to get back to Paparazzi. I am really excited that Drew is branching out to do more things because the backdrops he makes are just stellar and I really like trying to find creative ways to use them when the time is right and the fact that through a few of the conversations I’ve had with him he is a cool guy and supporting his brand is important to me. If you are a fan of classic sunglasses then I encourage you to go check these out but first here’s some details about them. My hair is also coincidentally from the Equal10 event and is from Modulus. The Cooper hair is a short hairstyle that you can choose to have regular or faded sides with and it will still look great. While it is a short style it is a little bit longer in the front than it is in the back so you have a few wisps of hair just lightly resting against your forehead. Cooper is a style that I consider would be very trendy and can work for all seasons (even though virtually there are none). I like the fact that Modulus releases new styles so frequently (even if it seems a bit hard to catch up as a blogger) because they all have different qualities about them that allow a blogger such as myself to be able to dress and style myself in different ways and can have a hair that I personally feel works with that outfit choice. During my process of choosing how I want to style myself I tend to base the rest off of what hairstyle I have first and work with that and I have a variety to work with. One thing I know that I can likely expect when it comes to digging into all the fun things that come with being a blogger for The Men Jail is that the Purfect brand is going to release a beard each round and 4 out of 5 times I truly want to wear it (like in an every day type of capacity). The style of these beards seem to really fit my style and they look good and are made well. Mesh Beard A 016 which is the designation it has been given can best be described as a style where you’ve had your beard shaped to look like several claws or even sharp teeth would be a good way to describe it if I wasn’t providing a better visual of it in the photos. It reminds me of several styles I have seen worn by real life people some of them are known as entertainers. I remember before mesh beards were actually achievable and once they were and also bento arriving and getting things to fit right there, I had a legacy tattoo beard of almost this exact style so it is nice to be able to kind of go back to a style that I’ve worn before. 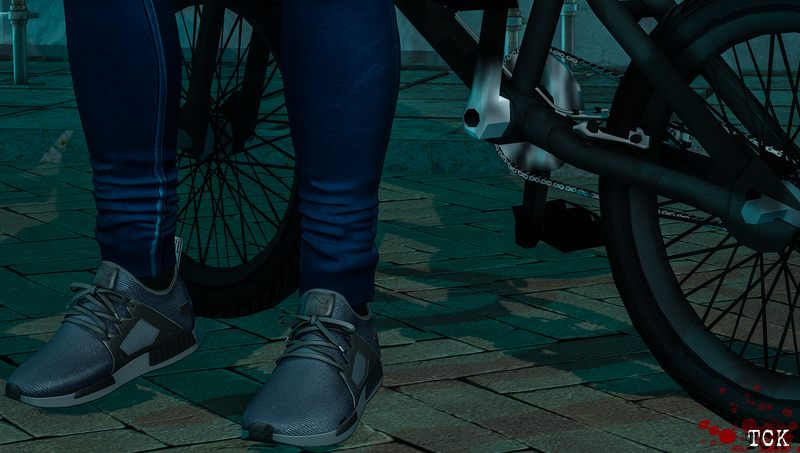 With the type of scene that I was photographing I thought that it would be best if I wore sneakers go to along with the bike pose from Animosity. Riding a bike with anything other than shoes (barefoot or with boots are counter productive and not fun for anyone who has ever tried). I was in luck that my people at Native Urban just released the “Tomorrow” sneakers at The Men’s Department. One of the praises I can sing about footwear made by this brand besides the attention to detail that is taken is the amount of customization that can be achieved with these sneakers. Just about any color combination that you could think of that you might want is at your fingertips with the FATPACK HUD. You might think well I might only want one or two pairs but if you think about savings you’d be making by getting the whole thing (and you really do save money if you were even thinking about purchasing two different basic colorways). If you haven’t been to The Men’s Dept. for the August round yet then now would be the time to go swing by there, tons of great items to choose from that I know you fellas would be happy adding to your closet/wardrobe. Two things truly inspired me more for this blog post than anything and I’ve already talked about the Papazzi RetroNerd Shades but I was quite pleased when I saw an ad for the Animosity pose set that is a part of the yearly Men Only Hunt now going in it’s 11th iteration. 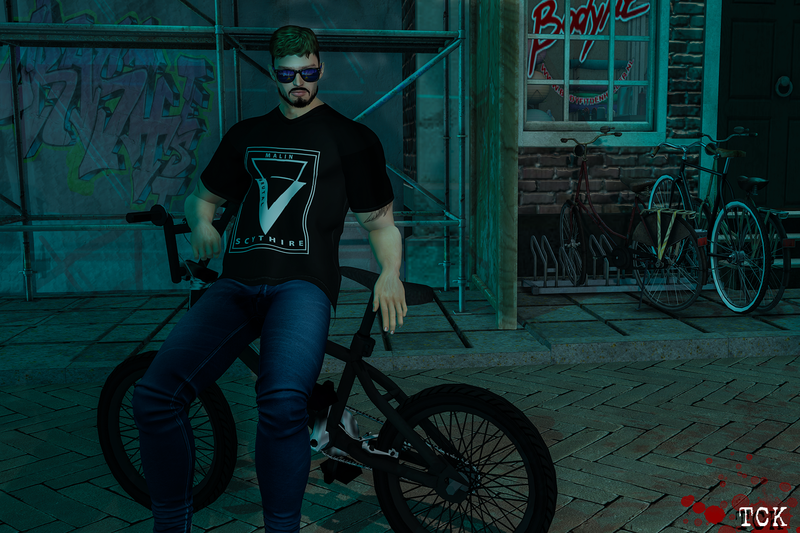 The “Billy” Pose pack consists of a mesh bicycle with poses that have the user riding or just chilling with the bike. I really love the creativity behind this pose set but if there’s on thing that I might have done differently is I would have made the bike have an option to change the color. I love black but having different options would help in certain lighting to be able to capture it better but take it for what it is, my opinion and nothing more. As I said I love the set but that is what I would have done differently. Wow that was quite a bit to go through but if anyone is still here after all of that I’m very grateful but if you’ve just perused the information you wanted or just skipped down to the credits that is quite alright too. I know that not everyone likes to do a lot of reading (I enjoy reading as others do to so this is done for that crowd I’d say). This was very packed with things and I think it is about time for me to go into my thought process for my next post. Enjoy the credits and until our paths cross again, onto the next conversation….